Icknield Port Road Station opened in 1874 along with the rest of the three stations on the Harborne Railway and fared only slightly worse than those station, closing in 1931 with the rest of the line losing passenger services three years later in 1934. The photograph above was taken in 1949 (photo: P.B.Whitehouse) and shows the scant remains of the station during the period that the line was used for goods traffic with Harborne and Hagley Road stations being the only stops remaining open for this purpose alone. Goods traffic was a good source of income for the line as, among others, the line served the Chad Valley toy factory in Harborne and a branch line to the Mitchells and Butlers brewery at Cape Hill. 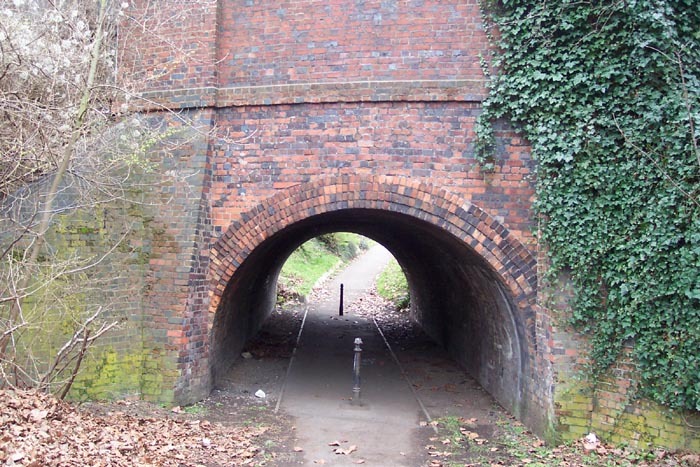 The line survived until 1964 on its goods workings. 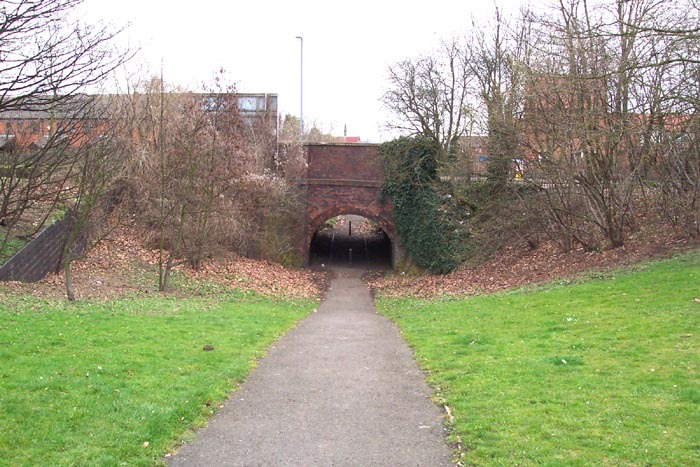 This station also provided a useful waiting point for trains wishing to pass through Harborne Junction to connect with the main line into New Street station. 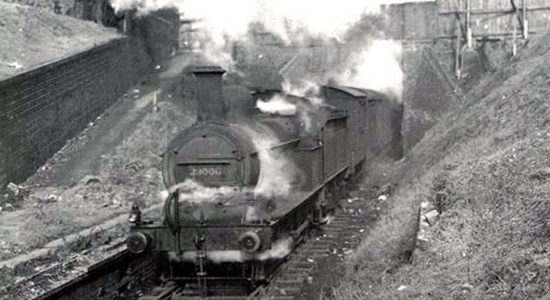 The small Harborne Railway concern was not given priority by signalmen on the main line which led to significant waits at Icknield Port Road station for permission to proceed which, according to the newspapers of the time, used to lead to many passengers disembarking and catching a bus or tram into the city centre! 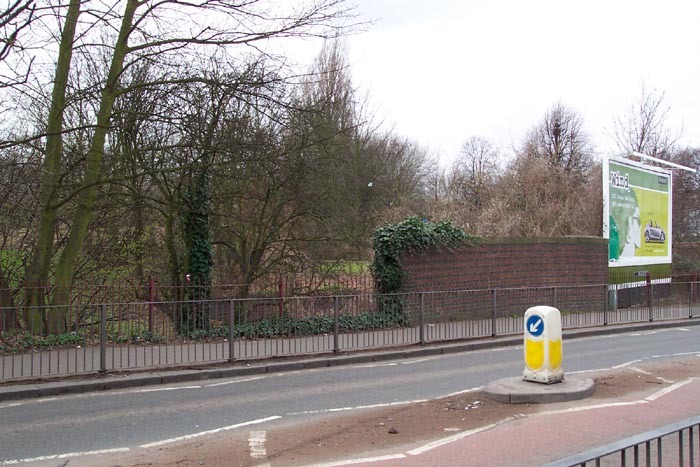 Above-left we are standing on Icknield Port Road looking across to the bridge under which the railway ran and to the right, where there is now an advertising hoarding, was the entrance gateway to the station. 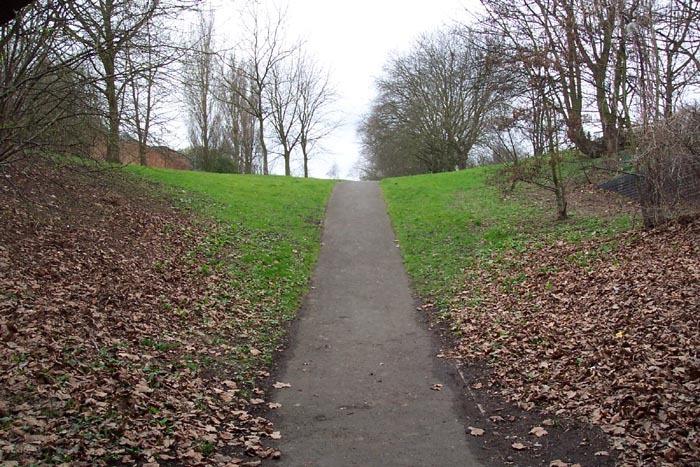 Above-right we have crossed Icknield Port Road and are looking down from the left-hand side of the bridge as it appeared in the previous shot to the trackbed which is now part of the Harborne Nature Walk and here opens out into Summerfield Park: Icknield Port Road marks the end of the walkway. Above-left we are standing roughly where the entrance pathway went down to the single platform which was situated to our left. Above-right we have arrived on the heavily raised trackbed and have the station to our rear: we are looking across Summerfield Park towards Rotton Park Road station. Out of all the stations on the line, this one requires the most imagination to picture it as a railway site as, apart from the Icknield Port Road bridge itself, there is no indication of its past. 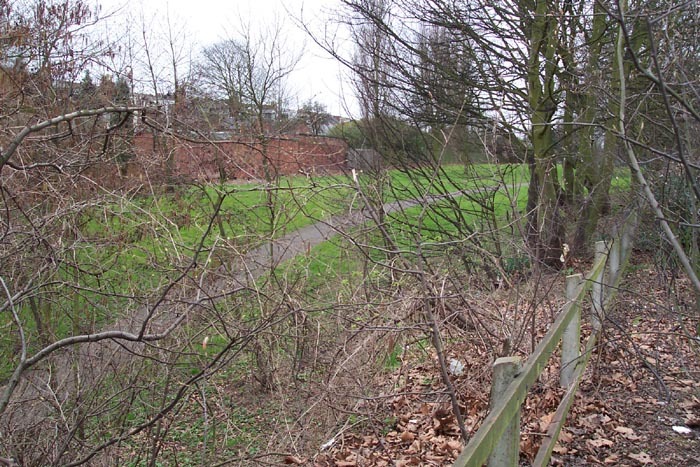 Above-left we are in roughly the same spot as the previous shot but this time looking towards the site of the station which stood immediately prior to the Icknield Port Road bridge. Above-right we have moved closer to the station site to get a better perspective and the brickwork we can see on the left of the photograph at the top of this page, marking the entrance pathway, can clearly be seen here: this also gives a good indication of how much the cutting has been raised. 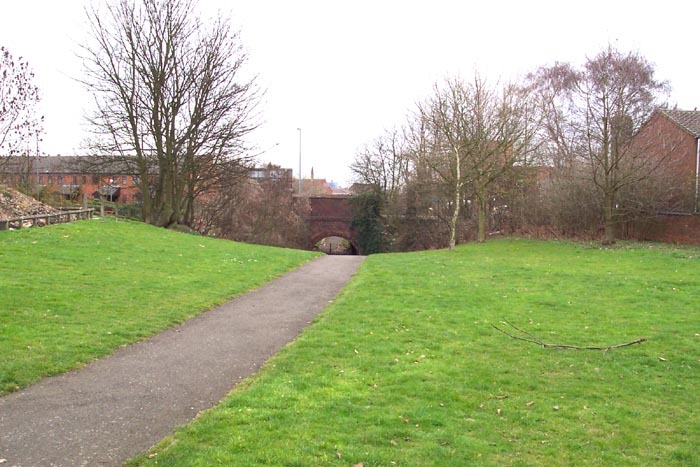 Above-left we are at the mouth of the Icknield Port Road bridge looking towards Harborne Junction where the Harborne Railway joined the main line into New Street. 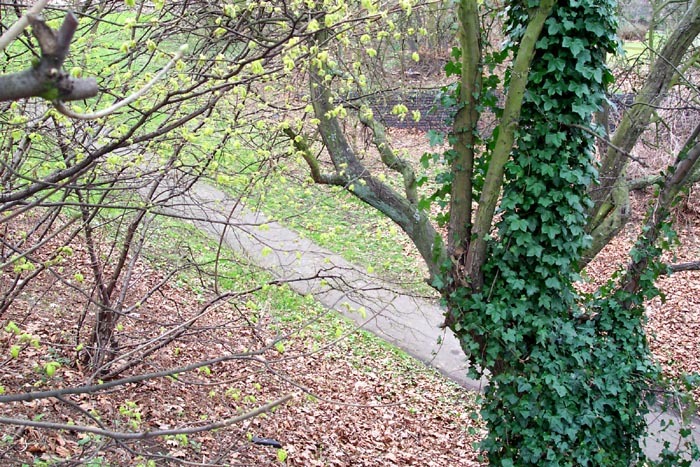 As was mentioned above, the walkway ends here as its path is blocked by a housing estate. Above-right we are in the same spot but have turned around to face the opposite direction looking towards Rotton Park Road station. 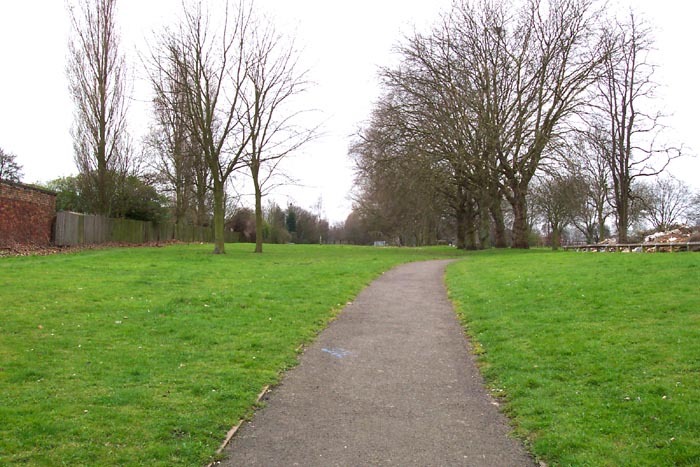 Some serious amounts of in-fill has been used here to raise the cutting to the level of Summerfield Park - especially considering that the spot where the photographer is standing has been raised by several feet as it is.